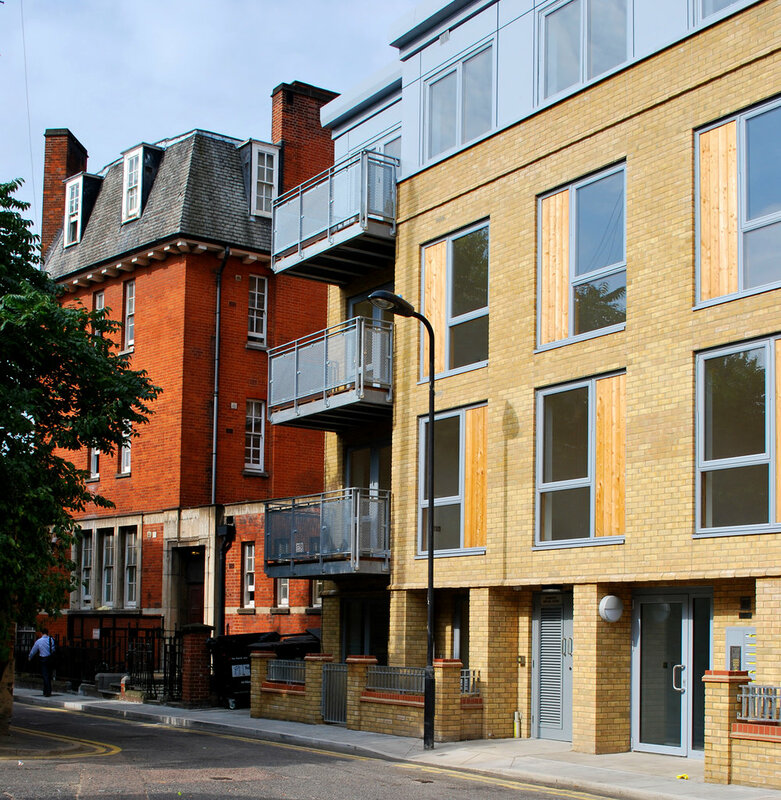 Biscoe + Stanton Architects was appointed by contractor Durkan Ltd to carry out the detailed design and construction information for 27 new build 1, 2,3 and 4 bedroom flats with over 500 square metres of B1 commercial space. 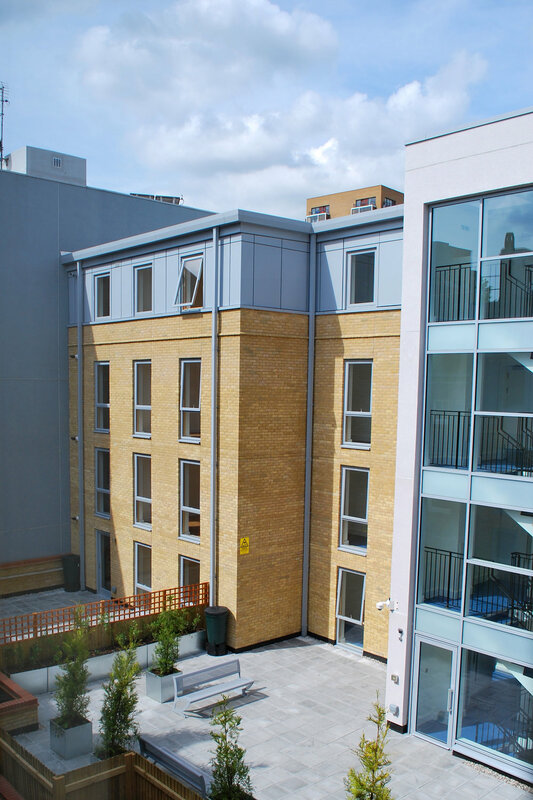 The flats will be a combination of market rental and shared ownership in two separate four and five storey blocks. The buildings occupy a brownfield site in the centre of Hackney. The massing of the buildings and their elevational treatment varies and is designed to reflect the industrial nature of Tyssen Street and the lower, more residential nature of Ramsgate Street. 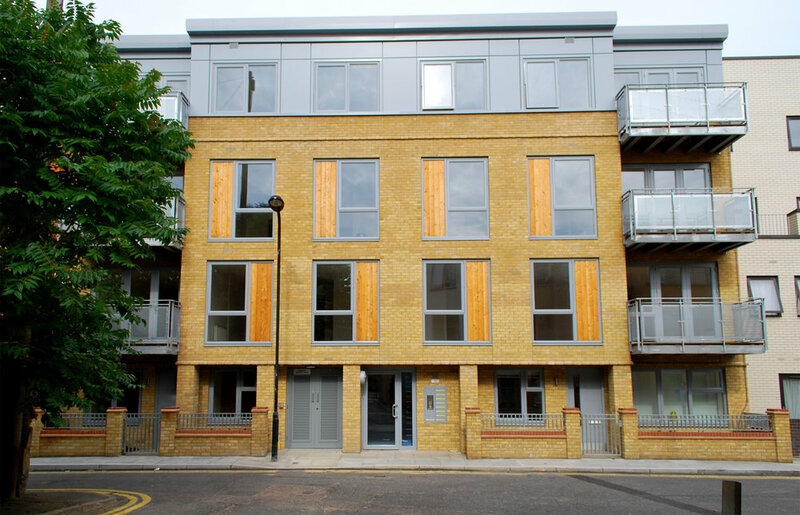 The Tyssen Street building reads as a converted warehouse and the Ramsgate Street building is set back from the street edge with private entrances to help create an active street frontage with a residential character. The buildings will use solar hot water panels and MVHR units to contribute towards renewables requirements together with enhanced levels of insulation, full Lifetime Homes compliance and Secured by Design certification. Innovative foundation and superstructure techniques will also be used to minimise structural loading and vibration from a future Crossrail tunnel route which runs beneath the site. Construction commenced in early 2010 with completion anticipated in March 2011.